This summer, 23 kids who live in Solid Ground residential programs enjoyed overnight camps thanks to the generosity of the YMCA. 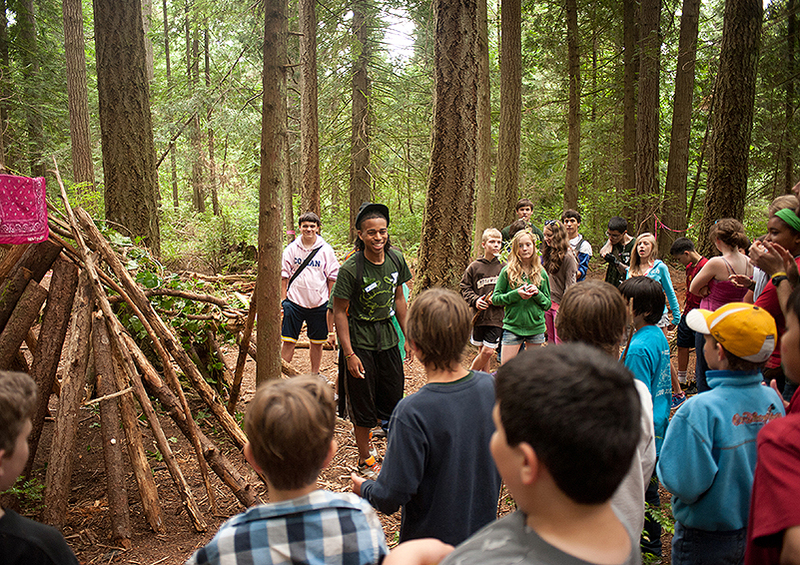 YMCA provided full scholarships to campers, which allowed youth currently or previously experiencing homelessness an enjoyable getaway in nature at stunning Camp Colman on the Kitsap Peninsula. The kids report their favorite parts were “the big, huge swing … I mean the zipline!” They also love meeting new kids and bonding with their fellow campers around the campfire. One child fondly remembers the Polar Bear Swim, which consists of jumping into the freezing Puget Sound! We’d like to extend a big thank you to YMCA for helping create positive memories in the lives of children. All photos are used with permission, courtesy of the YMCA.